Late Wednesday, T-Mobile announced three new offerings to tempt you to switch to its network: A try-it-before-you-buy-it program; the ability to stream music from Pandora, Spotify and other major services without eating into your data plan; and news of high-speed expansions that includes VoLTE (HD Voice). 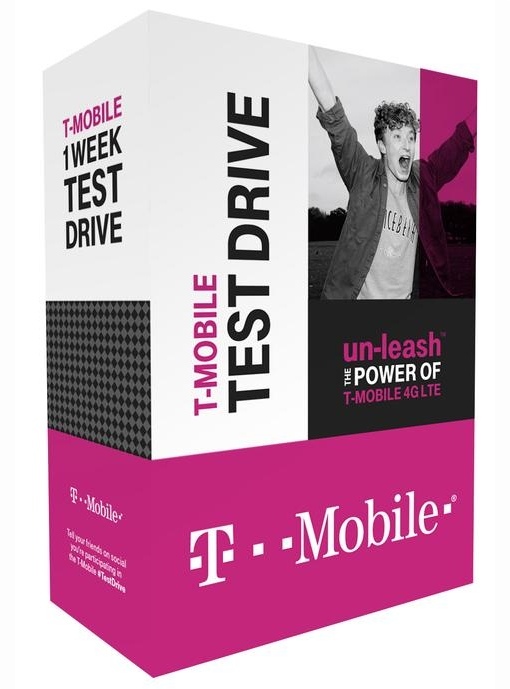 The first of the new offerings is called T-Mobile Test Drive. Starting Monday, June 23, you can request a weeklong free trial of the Apple iPhone 5S without obligation or putting any money down. T-Mobile's seven-night stand requires just your credit card number to ensure you won't abscond with the phone. The company offers a grace period in case you're a bit late returning it, and you won't be charged for minor dings. After the trial, you simply return the phone to your local T-Mobile store. The offer is designed to give you the ability to test network speeds and connectivity in the areas you'll use the phone the most. You can sign up for T-Mobile Test Drive online at www.t-mobile.com/testdrive. The company also announcement its new Music Freedom offering – unlimited music streaming from one of eight of the most popular streaming music sources (iHeart Radio, iTunes Radio, Pandora, Rhapsody, Slacker, Samsung's Milk Music, Spotify and the upcoming Beatport; other services may be added later) without being charged for the data you use. T-Mobile customers who pay for unlimited data can get ad-free Rhapsody and its 20 million songs for free, with free replays and skips, a service dubbed "un-radio." Other T-Mobile customers pay just $4 a month. 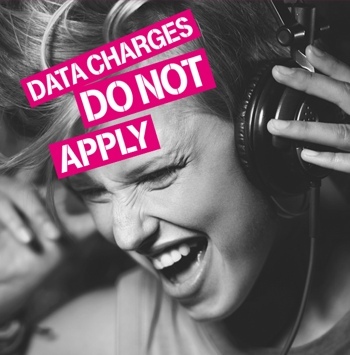 To promote Music Freedom, T-Mobile also will launch a #7NightStand Challenge. Users who complete seven challenges via social media channels will be entered for the chance to win a trip for two to an unnamed romantic location somewhere in the world. You can learn more about Music Freedom and the #7NightStand Challenge at http://www.t-mobile.com/offer/free-music-streaming.html. higher-quality Voice over LTE (VoLTE) (aka HD Voice) to more than 100 million people in 15 unnamed markets, with service nationwide by the end of this year. LTE Wideband provides a faster connection than many home cable Internet connections. An 11-song album can be downloaded in seven seconds on the enhanced LTE service, for example. Two caveats: First, you need a recent smartphone with at least Qualcomm's Snapdragon 800 chip to access the LTE Wideband network, a requirement that excludes existing iPhones (Apple uses its own chips). Second, T-Mobile's LTE Wideband network uses so-called "20 x 20" technology; other proposed LTE Advanced networks will be "40 x 40" with downloads of up to 300 Mbps. These news items are only the latest part of T-Mobile's aggressive "un-carrier" shakeup of the wireless carrier industry. Over the last year, T-Mobile has killed off the standard two-year contract, introduced an early device upgrade plan called Jump!, dramatically lowered international roaming fees, offered free LTE data for life for tablet buyers and reimbursed early termination fees imposed by other carriers. According to company CEO John Legere, the company has added nearly 17 million new customers since the launch of its un-carrier campaign.